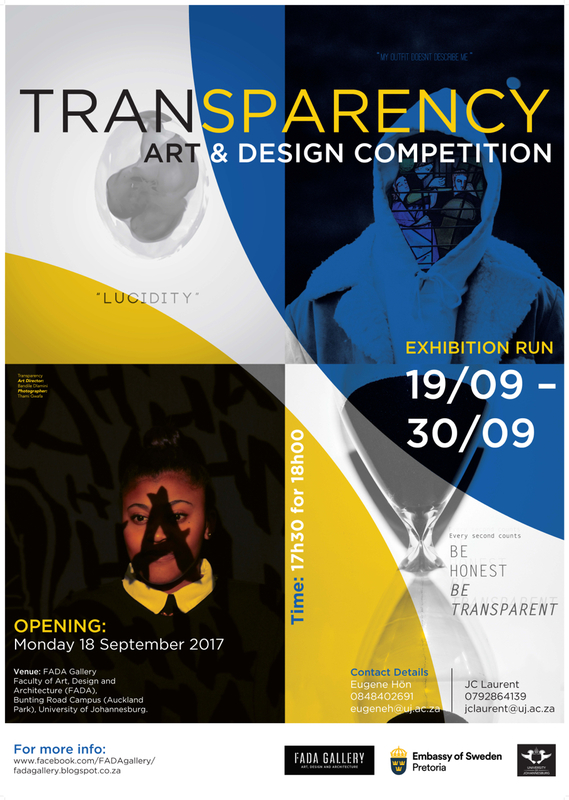 Opening: Monday 18 September 2017, 17h30 for 18h00, FADA Gallery - Faculty of Art, Design and Architecture. Exhibition run until: 30 September. 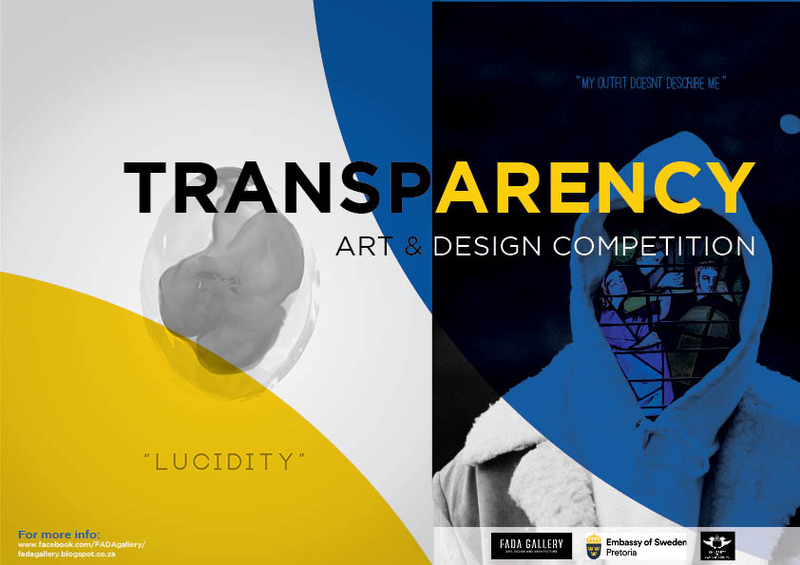 The Embassy of Sweden in association with the FADA Gallery at the University of Johannesburg will announced the winner of the Transparency Art and Design Competition at the opening of the Exhibition on Monday 18 September 2017. The competition was launched in January 2017 to all artists, architects and designers in Fashion, Interior Design, Jewellery, including Graphic communication. 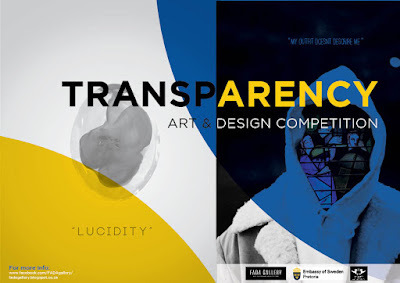 The theme Transparency is aimed at stimulating creative dialogue in various formats across disciplines on a national level. Creatives individuals were invited to explore concepts and creative ideas that are expressive of the competition theme. The jurors for the Art competition are the Ambassador of Sweden Cecilia Julin, the Director of the FADA Gallery Eugene Hön, and the Curator of the Constitutional Court Art Collection Melissa Goba. The winner will win a trip to Sweden with a personalized programme from the Embassy of Sweden. 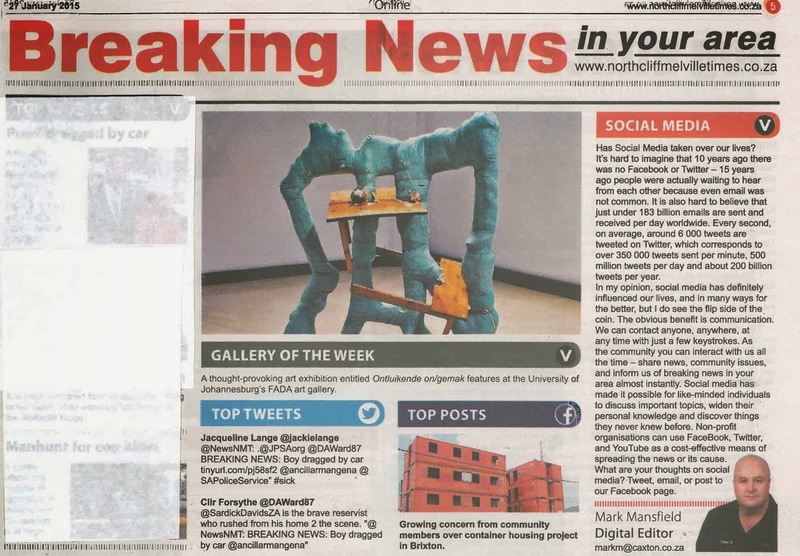 His or her art work will also receive media coverage and exposure. For more information visit Facebook page.